Garmin BlueChart g3 Vision Europe Atlantic Coast marine charts on SD/microSD Data Card provides rich, seamless marine charting for compatible Garmin marine chartplotters using integrated Garmin and Navionics data. 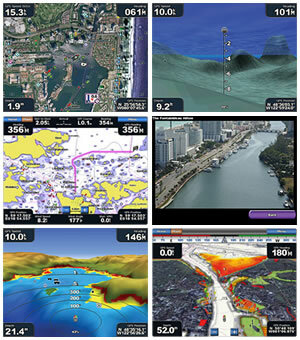 Additional features include autoguidance, ports and harbours photos and more (read more below). Chart coverage includes British Isles, Caledonian Canal, Outer Hebrides, Shetland, Orkney Islands, Isle of Wight, Irish Sea, Channel Islands, London Ports, Calais, FR Ports, Hamburg, DE Ports and more. Simply insert the plug-and-play SD/microSD Card into your Garmin, select the chart via your Garmin's on screen menu and you're ready to use the latest available Garmin BlueChart. Compatibility: Please see 'What is the chart compatible with?' 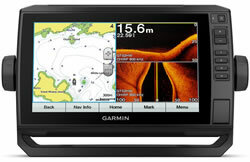 for full list of compatible Garmin handhelds and chartplotters that the Garmin BlueChart g3 Vision Europe Atlantic Coast microSD/SD card will work with. 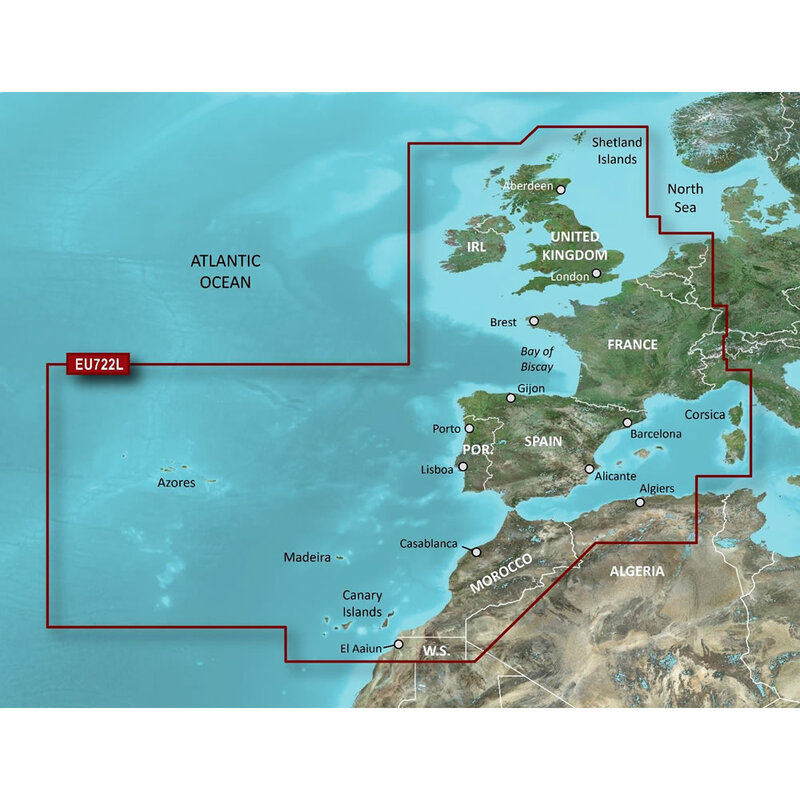 Buy Garmin BlueChart g3 Vision Europe Atlantic Coast on microSD/SD card. 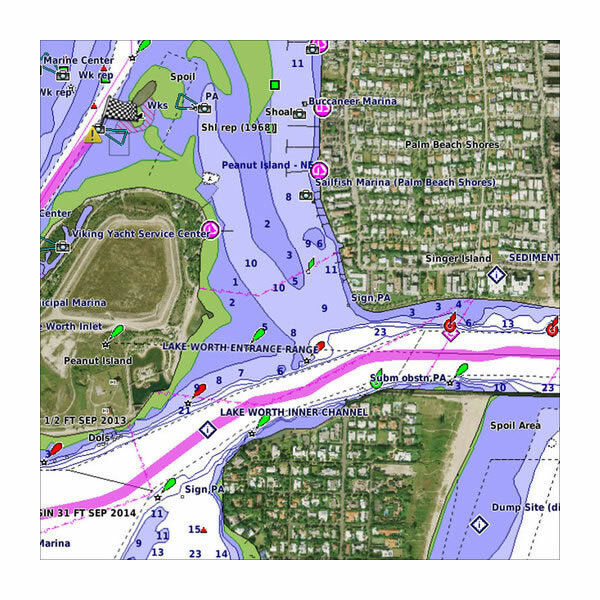 The marine chart maps provide detailed nautical chart data which enables you to see exactly where your vessel is positioned on BlueChart maps. Also displayed are coastal features, anchorages, obstructions, waterways, tidal stations, currents, contour depths and fishing charts. Plan and organise your route before you get on the water using the optional HomePort software which which allows you to calculate speed, fuel consumption and arrival time as well as distance and heading for your destination. 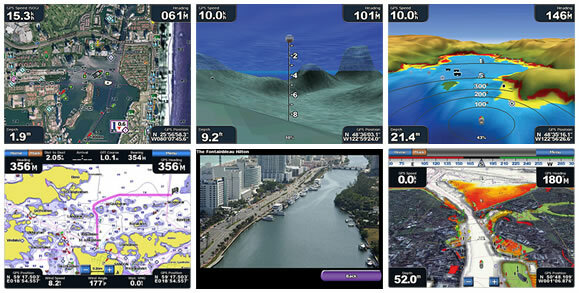 HomePort is also compatible with Google Earth. Because all BlueCharts are made to order (custom made at time of purchase) they cannot be cancelled once ordered nor returned for refund. Therefore, please ensure that you are definitely ordering the correct chart and that you have checked that is compatible with your device. We cannot accept any cancellation (even if we have not yet despatched it) nor can we accept the return of a BlueChart order as all charts are 'made-to-order'. Please make sure the microSD/SD card you are purchasing is compatible with your Garmin device before placing your Garmin BlueChart order. 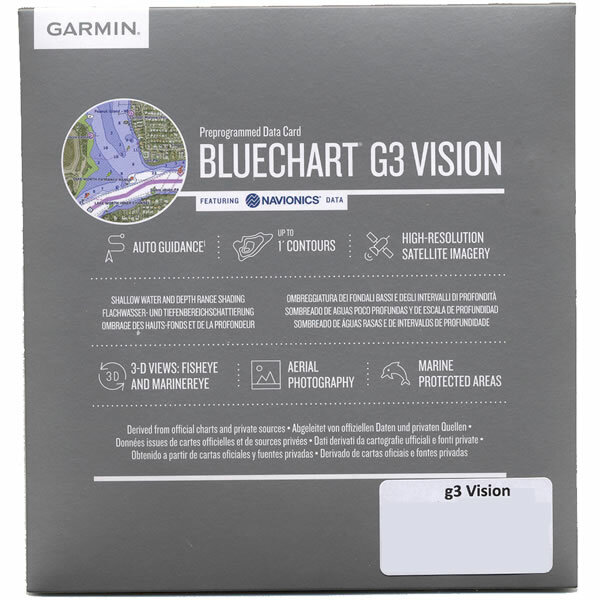 Please note: The images above are screen shots from various Garmin BlueChart g3 Vision charts and NOT necessarily from the BlueChart available to buy from this webpage. To ensure you receive the very latest version of the Garmin marine chart for your device, which is currently v2019.00 (V20.5) our Garmin Blue Charts are made to order and despatched same day - for orders placed Monday to Friday before 1:00PM (UK time). What's more all BlueCharts purchased from ActiveGPS come with a FREE new chart guarantee valid for 12 months after purchase, learn more about the new chart guarantee. Please note: Other websites may be selling obsolete versions of this Bluechart, such as V12, V10 or even older. Garmin echoMAP 42dv, echoMAP 43dv, echoMAP 44dv, echoMAP 45dv, echoMAP 50dv, echoMAP 50s, echoMAP 52dv, echoMAP 53dv, echoMAP 54dv, echoMAP 55dv, echoMAP 70dv, echoMAP 73dv, echoMAP 74dv, echoMAP 70s, echoMAP 72sv, echoMAP 73sv, echoMAP 74sv, echoMAP 75sv, echoMAP 92sv, echoMAP 93sv, echoMAP 94sv, echoMAP 95sv, echoMAP CHIRP 42cv, echoMAP CHIRP 42dv, echoMAP CHIRP 43dv, echoMAP CHIRP 43cv, echoMAP CHIRP 44dv, echoMAP CHIRP 44cv, echoMAP CHIRP 45dv, echoMAP CHIRP 45cv, echoMAP CHIRP 52dv, echoMAP CHIRP 52cv, echoMAP CHIRP 53cv, echoMAP CHIRP 54dv, echoMAP CHIRP 54cv, echoMAP CHIRP 55dv, echoMAP CHIRP 55cv, echoMAP CHIRP 72dv, echoMAP CHIRP 72cv, echoMAP CHIRP 72sv, echoMAP CHIRP 73dv, echoMAP CHIRP 73cv, echoMAP CHIRP 73sv, echoMAP CHIRP 74dv, echoMAP CHIRP 74cv, echoMAP CHIRP 74sv, echoMAP CHIRP 75dv, echoMAP CHIRP 75cv, echoMAP CHIRP 75sv, echoMAP CHIRP 92sv, echoMAP CHIRP 93cv, echoMAP CHIRP 93sv, echoMAP CHIRP 94sv, echoMAP CHIRP 95sv, ECHOMAP Plus 42cv, ECHOMAP Plus 43cv, ECHOMAP Plus 44cv, ECHOMAP Plus 45cv, ECHOMAP Plus 62cv, ECHOMAP Plus 63cv, ECHOMAP Plus 64cv, ECHOMAP Plus 65cv, ECHOMAP Plus 72cv, ECHOMAP Plus 72sv, ECHOMAP Plus 73cv, ECHOMAP Plus 73sv, ECHOMAP Plus 74cv, ECHOMAP Plus 74sv, ECHOMAP Plus 75cv, ECHOMAP Plus 75sv, ECHOMAP Plus 92sv, ECHOMAP Plus 93sv, ECHOMAP Plus 94sv, ECHOMAP Plus 95sv, GPSMAP 1020/1020xs, GPSMAP 521/521s,GPSMAP 527/527xs, GPSMAP 557/557xs, GPSMAP 721/721xs, GPSMAP 722/722xs, GPSMAP 7407/7407xsv, GPSMAP 7408/7408xsv, GPSMAP 7410/7410xsv, GPSMAP 7412/7412xsv, GPSMAP 7416/7416xsv, GPSMAP 751/751xs, GPSMAP 8412/8412xsv, GPSMAP 8416/8416xsv, GPSMAP 8417 MFD, GPSMAP 8422 MFD, GPSMAP 8424 MFD, GPSMAP 8008 MFD, GPSMAP 8012 MFD, GPSMAP 8015 MFD, GPSMAP 820/820xs, GPSMAP 8520, GPSMAP 8700 Black Box, GPSMAP 922/922xs. Not sure whether your Garmin marine or handheld system will be compatible with marine blue charts on preprogrammed microSD/SD cards? Simply email us, or use the online form on our contact us page and provide us with the unit's model, part and serial number normally located on the underside of your Garmin product. We'll then reply with the relevant webpage of available bluecharts for you to browse. Please note: Older Garmin units e.g. GPSMAP 182c required a data card rather than a SD/microSD, but we no longer stock datacard versions of the BlueCharts - these have been discontinued by Garmin. ‣SD card adaptor with preprogrammed microSD card inside - Learn how to install Garmin BlueChart maps SD/microSD Card onto your Garmin marine chartplotter/handheld GPS device. Not sure what size Garmin BlueChart g3 Vision you want? Please note: There is no difference in the chart detail between different size charts e.g. a small chart and a regular chart will have exactly the same detail. The ONLY difference is the coverage or area of water that is included within the blue chart. Of course, the larger the chart area, the higher the cost for that chart.